San Francisco, CA – Delivering on a promise to invest in new renewable energy projects, CleanPowerSF has signed several multi-year deals to build new wind and solar projects that will create more than 600 new jobs and ensure a clean, safe and reliable renewable power supply to customers over the next several decades. This month, the City’s community choice energy program signed two long-term agreements to purchase the renewable power created from a new 100-megawatt solar photovoltaic power plant to be built in Lancaster, California and a new 47-megawatt wind power plant in Mohave, California. Combined, the projects will generate enough renewable energy to power over 130,000 average San Franciscan households. The new solar project, called San Pablo Raceway, is expected to begin delivering solar power to CleanPowerSF customers in summer 2019. The 22-year contract is being developed by sPower, the largest private owner of operating solar assets in the U.S. San Pablo Raceway will generate ten full-time operations-related positions and approximately 500 construction jobs (150,000-200,000 work hours) during the 7-8 month construction period. The new wind project, which expands Terra-Gen, LLC’s Voyager Wind IV facility, located in Kern County, California, is expected to begin delivering wind power to CleanPowerSF customers in winter 2020. The project will create six full-time positions and at its peak, approximately 100 construction jobs during the six-month building phase. Terra-Gen, LLC is a renewable energy company focused on developing, owning, and operating utility-scale wind, solar and geothermal generation. The company owns 1,051 megawatts of wind, geothermal and solar generating capacity throughout the western United States. 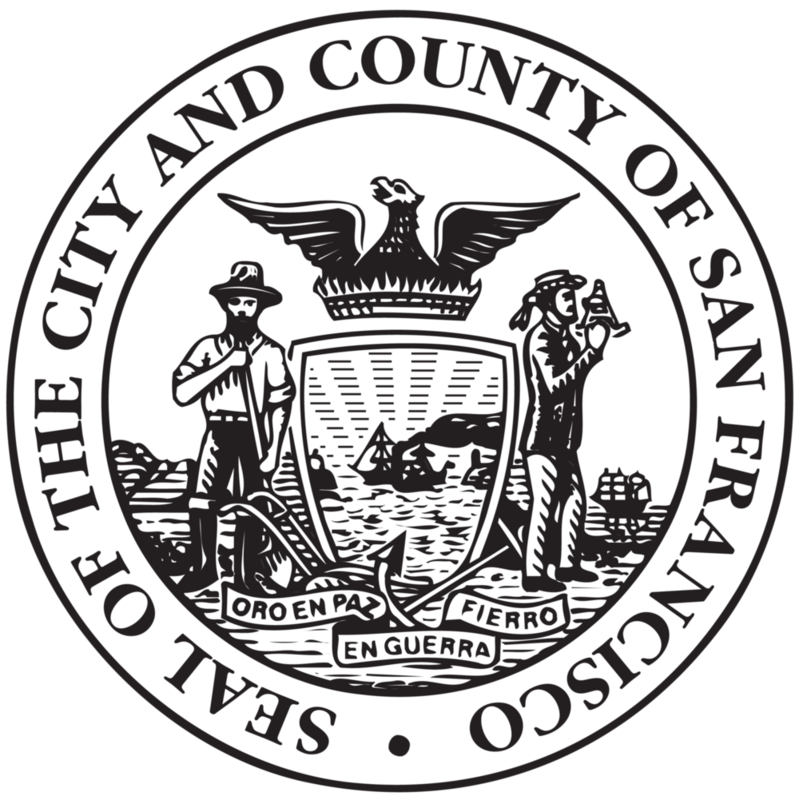 The San Francisco Public Utilities Commission (SFPUC), which provides operational oversight on rates and charges, contracts, and organizational policy, unanimously approved the agreement. “Choosing CleanPowerSF means investing in clean energy projects that will bring cleaner, greener electricity to San Francisco. We are thrilled that the San Pablo Raceway and Voyager Wind IV Expansion projects will be built to serve the residents and businesses of San Francisco,” said Barbara Hale, SFPUC Assistant General Manager for Power. “Terra-Gen's portfolio is one of the largest renewable businesses in the United States. We’re thrilled to be able to partner with CleanPowerSF on such a large scale and continue providing clean energy to San Francisco and the Golden State,” said Terra-Gen, LLC CEO James Pagano. CleanPowerSF also recently signed a short-term agreement with Calpine Energy Services, LLC., America's largest generator of electricity from natural gas and geothermal resources, for energy from the Geysers geothermal plant located in Sonoma County. The 5-year deal will supply CleanPowerSF with 5 megawatts of renewable energy this year, increasing to 20 megawatts in 2019 and 2020, and 25 megawatts in 2021 and 2022. Calpine has also made community benefit commitments to support climate education programming for youth as a part of the agreement. Earlier this week, the SFPUC announced that 25,000 commercial electricity customers in San Francisco would begin receiving service from CleanPowerSF this July. The SFPUC anticipates enrolling all eligible San Francisco customers in CleanPowerSF by July 2019. Any eligible customer who wants to sign up for CleanPowerSF service early or upgrade to SuperGreen, CleanPowerSF’s 100% renewable energy product, can do so at any time by going to www.cleanpowersf.org. The SFPUC, a department of the City and County of San Francisco, has been providing San Franciscans with 100% greenhouse gas-free hydroelectric energy for the past 100 years from the Hetch Hetchy Power System. CleanPowerSF is run by the same clean energy experts. The SFPUC also delivers your great-tasting Hetch Hetchy Tap Water and operates the award-winning San Francisco Combined Sewer System. OUR MISSION: To provide our customers with high-quality, efficient, and reliable water, power and sewer services in a manner that values environmental and community interests and sustains the resources entrusted to our care. sPower, an AES and AIMCo company, is the largest private owner of operating solar assets in the United States. sPower owns and operates a portfolio of solar and wind assets greater than 1,300 megawatts (MW) and has a development pipeline of more than 10,000 MW. sPower is owned by a joint venture partnership between The AES Corporation (NYSE: AES), a worldwide energy company headquartered in Arlington, Virginia, and the Alberta Investment Management Corporation, one of Canada’s largest and most diversified institutional investment fund managers. For more information, visit www.sPower.com. Terra-Gen, LLC is a renewable energy company focused on developing, owning, and operating utility-scale wind, solar and geothermal generation. Terra-Gen owns 1,051 MWs (net equity) of wind, geothermal and solar generating capacity in operation across 25 renewable power facilities throughout the Western United States with a focus on the California Marketplace. Terra-Gen's subsidiaries are responsible for the operation and maintenance of over 2,000 MWs of renewable projects. The company primarily sells the output of the renewable energy projects to utilities and power cooperatives under long-term power purchase agreements. Terra-Gen's operating portfolio is one of the largest renewable businesses in the United States. Terra-Gen continues to expand operations in renewable generation through a combination of acquisitions of operating projects, development of new projects and partnering on mid and late stage development opportunities. Visit terra-gen.com for more information. About Calpine Energy Solutions, LLC., is a subsidiary of Calpine Corporation, a Fortune 500 company and America's largest generator of electricity from natural gas and geothermal resources. Calpine's clean, efficient, modern and flexible fleet uses advanced technologies to generate power in a low-carbon and environmentally responsible manner. Please visit www.calpine.com to learn more about why Calpine is a generation ahead - today.